Our client have created the position of Continuous Improvement Support Manager to report into a newly appointed World Class Manufacturing Manager to help successfully role out a LEAN program that has been awarded almost 7million pounds of investment for this year. You will have the opportunity to learn and develop under a LEAN 6 Sigma Master Black Belt Manufacturing Manager who has a strong record of coaching and mentoring those with the right attitude top help reach their career goals. Our client have created the position of Continuous Improvement Support Manager to report into a newly appointed World Class Manufacturing Manager to help successfully role out a LEAN program that has been awarded almost 7million pounds of investment for this year. You will have the opportunity to learn and develop under a LEAN 6 Sigma Master Black Belt Manufacturing Manager who has a strong record of coaching and mentoring those with the right attitude top help reach their career goals. The client are having a huge push on LEAN objectives and with the recent investment, you will have the opportunity to really make a mark on the department. Our client are proud to announce that it has been officially certified by the Top Employers Institute for its exceptional employee offerings for a fourth year running. The Top Employers Institute, recognises leading employers around the world that provide excellent employee conditions, nurture and develop talent throughout all levels of the organisation, and which strive to continuously optimise employment practices. The Top Employers Institute assessed  employee offerings on the following criteria: On-Boarding, Learning & Development, Leadership Development, Compensation & Benefits and Culture. Their attitude to their employees remains a key reason as to why over 50% of their staff have over 10 years' service and over 90% of employees feel valued and consider the company to be a pleasant and friendly place to work. So stop putting up with being undervalued and join us! You'll be really keen to learn and develop and demonstrate your knowledge of CI and Lean ideology within a business that seeks to become a world class manufacturing environment. As a Continuous Improvement Support Manager you will support a World Class Manufacturing Manager in the successful roll out of the LEAN Program to all departments which at present don't fully utilise this ideology. You'll likely have a Yellow or Green belt in Lean Six Sigma from a manufacturing environment. 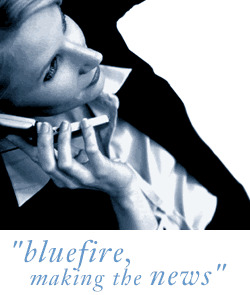 Bluefire Consulting is an equal opportunities Employment Business/Agency specialising in Manufacturing and Production recruitment on a UK wide basis.